If there’s ever a situation when an outdoor enthusiast could be overwhelmed with choices, it’s when deciding on a knife to buy and/or use. As simple a tool as a knife might be, there are many variations with functional differences that alter a knife’s intended use and performance. Skinning a freshly caught fish, for example, would be quite an adventure when attempted with a Bowie knife. From all purpose tools to specialized blades, it’s important to know which knife to use in a given situation. Here’s a quick guide to the form and function of some of the most popular types of outdoor knives. If you’ve ever seen the movie “Rambo”, you already know exactly what a survival knife looks like. Issued by many military branches, the survival knife is an essential for any serious outdoor adventurer. Typically, their blades are locked in place, thick, and sturdy to prevent any possibility of breakage. Because they don’t fold and must be portable, they’re generally only about 4 to 6 inches long. But don’t let the relatively compact size fool you. Survival knives are exceedingly sturdy, and with their serrated edge they can be used for cutting wood, gutting and skinning animals, making traps, and even self defense (for the military folks only). If you’re going on a long, grueling outdoor trip and need an all purpose knife, the survival knife is the way to go. Also known as a “Swiss Army knife”, multi-tools are unique in that they always have more functions than just acting as a blade. Brands like Leatherman, Wenger, and Victorinox have cornered the market and continually up the ante in function. Today, most multi-tools come with a blade, pliers or scissors, several types of screwdriver heads, and a can opener at the very least. While all these tools do their jobs, the trade off for having them in one convenient place is that they are often tougher to use than full size versions. Best for light work, multi-tools are perfect for tasks around the campsite. If you plan to fish on your next trip into the outdoors, then a fillet knife is a real necessity. Usually fixed blade and between 4 and 9 inches long, fillet knives are thin and flexible enough to skin just about anything accurately and efficiently. Determining which blade length is right for you is as simple as considering your game fish of choice. If it’s crappie, bluegill, or bass, for example, then a fillet knife closer to 4 inches is more practical than an extra large 9 incher. Whatever specific fillet knife you go with, be sure that the blade is made of stainless steel and maintain a high degree of sharpness to keep your cuts clean and effective. 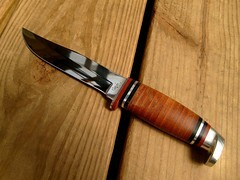 Designed with a fixed blade and a high degree of sturdiness, hunting knives are generally made to be two knives in one. 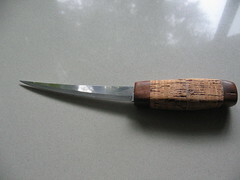 The last third of the knife is typically curved backward to aid in the animal skinning process, and the two thirds closest to the handle are straightened for precise cutting. It’s important to bear in mind that, as the namesake implies, a hunting knife is best used for hunting purposes only. Its non serrated blade and relative inconvenience in carrying makes it impractical for much utilitarian use. With the proper knowledge in place, you’ll be ready to find a good knife that can tackle nearly any outdoor project imaginable. Just remember to keep it sharp, and keep on cutting! 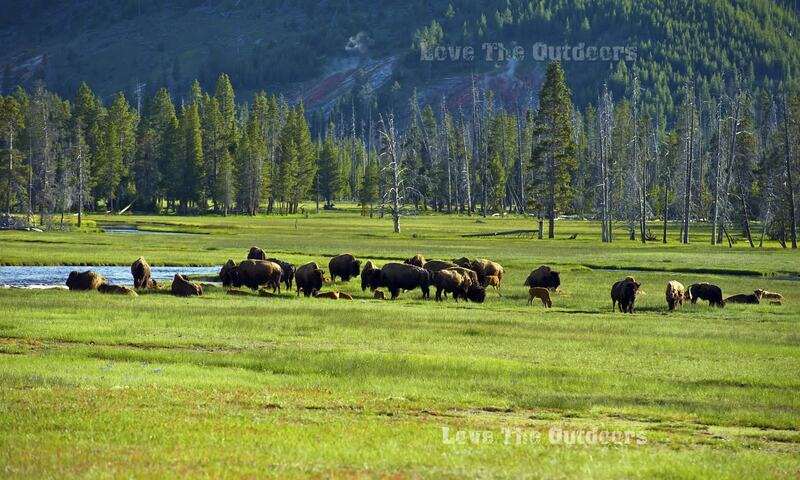 Nice information I have gained many new things about the Outdoor Knives thanks for sharing. I always liked the multi-tool the best. I think that it can help you way better that the others. 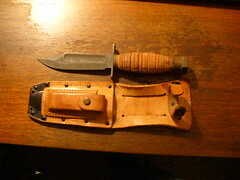 However, if the matter of sturdiness comes is the biggest consideration, I think the hunting knife is better. Too generalized. I don’t think this article would be helpful to anyone.